"Everything is a compromise: size, weight, cost, reliability, etc. While traveling, size and weight are at a premium. So I travel with a Fuji X-series camera (in this case, an X-E1) and a MeFoto Backpacker. At a fraction of the size and weight of a DSLR, it allows me to make real photos without being weighed down like a pack mule. "For this photo of Monday night's campfire, as usual, everything was a compromise: the ISO of the X-E1 and 14/2.8 lens for noise, the shutter speed for controlling apparent star movement, and the aperture for sharpness. But the tiny, lightweight MeFoto Backpacker held solid through the 4- 6- and 10-second exposures I needed to record the stars in deep dusk above the campfire. "With that picture in the can I started to get a little cocky, wondering if I could also get a decent astrophoto with my diminutive gear pack. 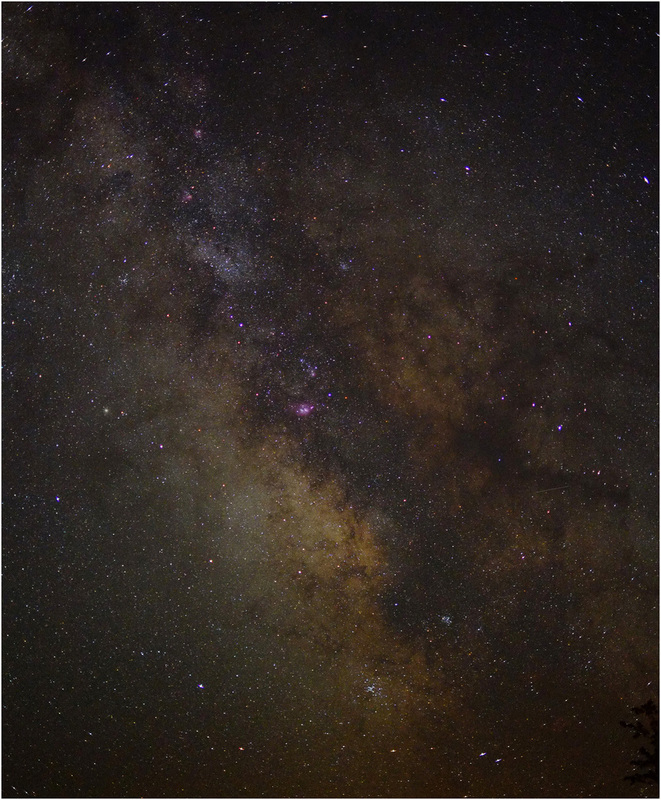 Swapping to a 35/1.4 on the X-E1 (itself still on the MeFoto) we were able to reach well into the Milky Way without worrying about camera movement at all. 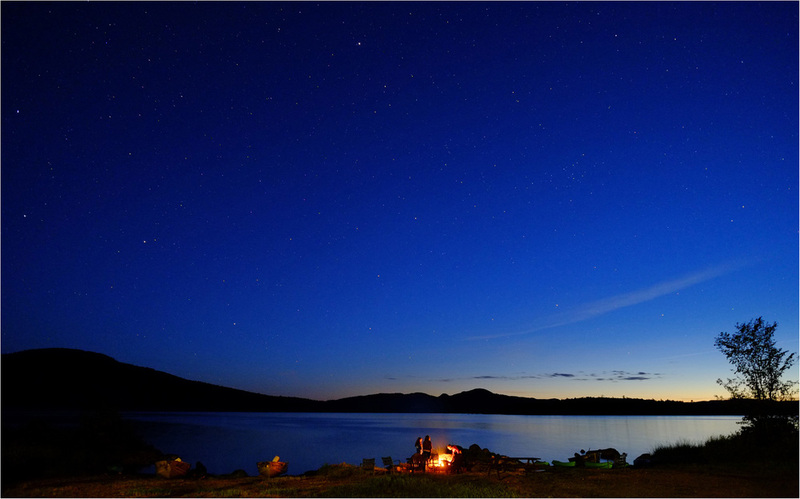 As with the campfire photo, the limiting factor was actually the movement of the earth." Thanks, David! We are very happy you chose MeFOTO and wish you many happy exposures.